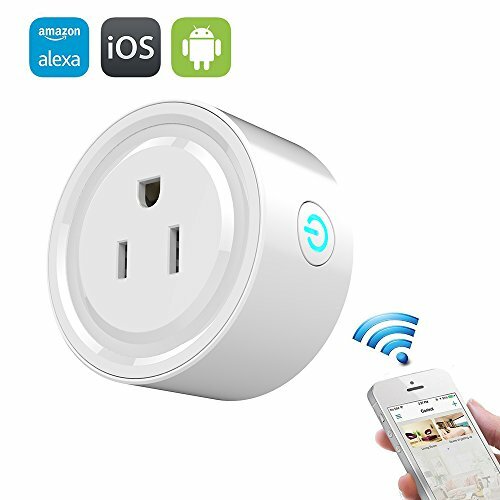 This Mini Smart Plug works with Alexa to manage your devices through Voice Control. Assign a name to each Smart Plug and communicate with each plug by name when making a voice command. Switch your home electronics On/Off from anywhere with your tablet or smartphone using the free Tuya Smart app. No hub or subscription required. Set it to away mode when you are out of home for ensuring the the home security, and the smart socket will automatically turn the light on and off to give the appearance that someone is home.